Political reports and reaction from the Parliamentary Precinct, Wellington. Published Tuesday, March 28, 2006 by Geoff Hayward. After a long absence, I am happy to be back on the Bubble. I apologise once again for the lapse. With the Government’s student loan interest write off policy starting on Saturday, it seems an appropriate time to pause and consider what’s next; what will student ‘activism’ demand in terms of reform? Let us assume for the moment that no existing policies will be changed to the extent of elimination, and that any new policies incorporate existing systems into the reform. I highlight three areas. The main reasoning is to give all students the support to survive while studying. Many students get upset at the thought that they cannot receive an allowance because their parents earn over the threshold and some even say that because they work, they have to take on the burden of paying for their own survival if they wish to get out from under their parents fiscal thumb. You can just feel their frustration. I have yet to see any comprehensive study on how prevalent this is, and if this situation is more an exception than a rule (I would suggest that in a general sense, even those who work and live away from their parents, still receive some financial backing, especially in an emergency situation…a safety net not available to all). However current Government policy to raise the income threshold (even if it seemingly ignored the consequence of a high inflation rate during the transition) and the unlikelihood of the living costs component being removed from the student loans scheme, sees this idea pretty much dead for the time being. New Zealand compared to other nations within the OECD, spends a relatively large portion of GDP on tertiary education subsidies (see report here), however, this amount is dropping. If one is prepared to accept that more funding is better than less, especially when comparing the New Zealand situation to Australia (I make this point to those on the Right who would use comparative analysis with Australia as a rhetorical tool); according to the AUS, “Government funding makes up 38 per cent of New Zealand university income, compared to 46 per cent in comparable Australian universities” then this, combined with the restrictions on fee rises means that Universities are under ever increasing pressure to maintain solvency. The loser would therefore be…consumers i.e. students. It is in terms of lowering the quality of the education provided; a hindrance to the overall objectives of the education system in creating a viable investment for economic and social growth. Considering that this is an issue that has been left on the backburner in terms of the political rhetoric, I believe that focusing on this issue may yield results. There are rumblings to move in and avoid more of the ‘Twilight Golf’ courses in terms of future policy reform. But in New Zealand, we have what can best be described as a systemic failure due to two countervailing forces: a market lead education system, and responsible subsidisation by Government (or lack thereof). How did this happen? It is a populist idea to rail about deficient courses being offered, but perhaps those who have been the staunchest critics will also not move from removing the importance of the market in pricing courses. What is needed is to bring the quality (and in some cases quantity; do we need eight movie makeup courses in Wellington?) of courses into the cost to the country and the consumer/student. Any extra funding into a relatively high (although not high enough, see the previous point) subsidised system will not be palatable without significant and comprehensive measures to focus funding in areas of national interest, but also maintain quality, rather that quantity of graduates. These are three of a number of policy ideas. I would certainly enjoy contributions to the validity and the reasonable political likelihood of them being passed, or alternatives (I would actually prefer alternatives rather that a critique of my own, we can only gain from a plethora of idea, rather than a bashing of existing ideas). One thing is for certain...the forces for tertiary student reform have not abated, in spite of whatever victories may arrive. Published Monday, March 20, 2006 by Neilson. Then we are all in trouble. New Zealand has had a plan in place for a number of years to look into the possibility of bringing in electronic voting. 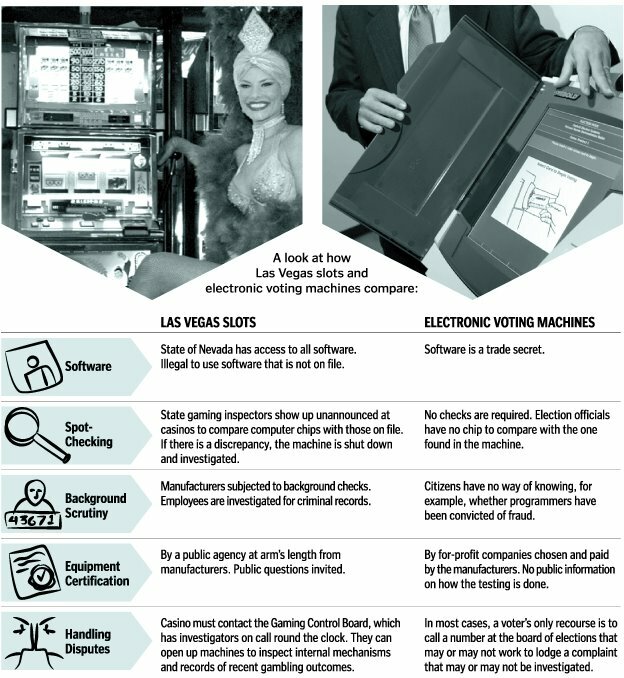 Electronic voting brings the possibility of an election result within minutes of the polls closing. However issues remain over what form of paper records they keep that could verify the votes cast and how the security is audited. Some machine's in America have been found to keep three databases with the vote records in them. The number of voted cast is read out of the first database and the results are taken out of the third. Why these three databases are kept and what security issues they bring up needs to be addressed. Published Thursday, March 16, 2006 by Geoff Hayward. It is no surprise that the Maori party have come out and supported the Electoral (Reduction in Number of Members of Parliament) Amendment Bill of Barbara Stewart (New Zealand First, List). NRT points out that the strength that a party that is in the situation of the Maori party can only gain by getting this Bill passed. It is other Member’s bills that are causing confliction. The Maori party voted for Sue Bradford’s (Greens, List) Minimum Wage (Abolition of Age Discrimination) Amendment Bill, and are tipped to support Wayne Mapp’s (National, North Shore) Employment Relations (Probationary Employment) Amendment Bill. Both will affect a large and increasing number of Maori workers who will either gain or lose from both of these. This is also assuming that their support for these Bill’s will change after the Bills return from Select Committee. The party’s support of the Whangamata Marina veto by Minister of Conservation Chris Carter (Labour, Te Atatu) but also supportive of Gordon Copeland’s (United Future, List) call to compensate the Marina Society for the costs of getting consent does show a dedication to shift their support on a issue by issue basis, easily done in their position in the House. Unlike the Greens, it’s hard to see clarity of vision…precisely what the Maori Party want to us to see. Looking to the next election, I highly doubt they are looking for anything more than electorate victory. The problem after that is…what next? They can demonstrate representation, but there seems to be a lack of leading vision, and may in time be seen as conservative, myopic and unstable to coalition partners. Consider this, both the election policy of reducing the age of National Super eligibility for Maori and the planned Member’s Bill of Hone Harawira (Maori, Te Tai Tokerau) to ban cigarette production and consumption shows a lack of vision; by promoting over-reactive legislation. The policies are certainly to the benefit of Maori to be sure, but ignore long term progress. I fear that their approach may backfire, should an opportunity arise to join a Government. Labour and National would be wise to watch if this party finds an ideology that can easily work with either. Published Monday, March 13, 2006 by Geoff Hayward. Robin Booth from the Whig comments on the future of the ACT party and his insider expericence does make it worthy of note. Published Friday, March 10, 2006 by Geoff Hayward. Rachealle Namana: Prison wasn’t so hard. I don’t think I have been reformed for killing a 23 month old baby. I was able to get P and a cellphone into prison. Corrections Association president Bevan Hanlon: It’s easy to hide contraband now that random searches are deemed a breach of prisoner rights. We need more money to stop it. Garth McVicar of the Sensible Sentencing Trust: Punish them all! Rehabilitation and reform doesn’t work. New Zealand Prison Guards' Union: Hold on a sec, guards capture a whole lot more than that. Simon Power (National, Rangitikei): There's no denying the system is in crisis. There should be a wide-ranging inquiry into the Corrections Department. Helen Clark (Labour, Mt Albert): Prisons can only do so much. Some people will always cheat the system wherever they can and some people like Namana are very hard to make headway with. Corrections Department CEO Barry Matthews: Namana was never honest with police or prison officials...why should anyone listen to her now? Mark Burton (Labour, Taupo): Hey, you know when we said we would be tough on crime, well in four years time we will have nearly 9000 people in prison, up from 7500 today. Criminal Bar Association president Peter Winter: What about the 250 people who are remanded each year but are found to be innocent, 15% of remanded inmates? Mark Burton: We’ll be looking into that, but we can’t be sort on hardened criminals either…we may need more prisons. Mark Burton: But before we try that path, more non-custodial sanctions may be more effective for some non-repeating, lower level offenders. Damien O’Connor: It will be a great excuse to get rid of all of the rehabilitation, education and drug programmes. Simon Power: Well, not all of them work anyway. Former Guard Celia Lashlie: How about we try and solve the problem at the source? Annette King (Labour, Rongotai): We’ll have 1000 more police within three years...although that might exacerbate the prison problem. Ron Mark (New Zealand First, List): Or maybe their presence will deter criminals, lowering the prison population. Nandor Tanzcos (Greens, List): A cross-party accord is the only way to fix the justice system, let’s get the spokespeople from every party away from the media, to have an open minded discussion about what is and isn’t happening in New Zealand prisons and find some solutions. Published Tuesday, March 07, 2006 by Geoff Hayward. The student loan interest rate for the 2006-07 tax year has been set at 6.9%, down from 7.0%, Tertiary Education Minister Michael Cullen and Revenue Minister Peter Dunne announced today. "Most borrowers living in New Zealand will have interest-free student loans from 1 April, thanks to major legislation enacted last year that will reduce the cost of tertiary education for hundreds of thousands of people," the Ministers said. "Borrowers who qualify for interest-free loans will continue to be charged interest during the tax year but their interest will be written off after 31 March 2007. "Most borrowers who live overseas for more than six months, however, will not qualify for the write-off. "The new interest rate – for those who still have to pay interest – was arrived at by means of a recently adopted formula that will add certainty to the annual process of setting the rate. "Under the formula, the total interest rate is based on the five-year average of the ten-year bond rate, plus a margin to cover administration costs," they said. The new interest rate was approved by Order in Council today. Published Monday, March 06, 2006 by Geoff Hayward. Fairfax's purchase of on-line auction house Trade Me represents 700 million votes of confidence in the New Zealand economy Finance Minister Dr Michael Cullen said today. "The $700 million dollar deal is a timely reminder of the fundamental strength of the New Zealand economy. "Here's proof that the outside world has a different view our economic health than some within this country. "Forget the surveys, this is business confidence. "Fairfax would not have made this investment if the medium to long-term growth prospects of the New Zealand economy were not excellent," the Finance Minister said. "The blinkered doomsayers in the Opposition keep nagging us that Australia is so much better than our country. Well, here's crystal clear evidence that Australians still think New Zealand is a great place to do business with. "I congratulate Sam Morgan on his success. He typifies the smart, tech-savvy Kiwi we need to help transform this economy. May he continue to inspire entrepreneurs across New Zealand," concluded Dr Cullen. Brilliant. I'm not so impressed with the deal itself, but rather that it didn't take long to spin it. Open Democracy on Fear and loathing in Zimbabwe: the self destruction of Mugabe's own political machine. First of all, I have two words in response to last weeks article in the Dom about David Benson-Pope (Labour, Dunedin South) and his contortions…not newsworthy. Thank goodness that the story has taken a back seat, although both the SST and the Dominion Post are continuing the fight to get rid of him (the NZH meanwhile have moved more toward supporting DBP, hat tip Jordan). Also last week, we saw the fine performance of Nandor Tanzcos (Greens, List) against a seasoned but obfuscating Winston Peters (New Zealand First) on terminator gene technology. A while back I took to Tanzcos’ party colleague Keith Locke (Greens, List) as a bumbler. Tanzcos is the complete opposite. If you scored this by the entertainment value, Winston wins, especially the ‘patsy’ question by Doug Woolerton (New Zealand First, List) to his leader on the effects of marijuana. If you score it on the content, directness and adherence to the standing orders, Tanzcos wins. It’s hard for me to accept that the wider New Zealand public fails to see the value of Tanzcos, when people are more intimidated with his image rather than his diligence. This week starts with more insight into the corrections and health portfolios; chincs in the Government's armour. After reading the SST article on Rachelle Namana and her ‘not so hard’ time in prison. Certainly more support for the National ‘lock them away and throw away the key’ Corrections policy. Goodness knows where they would find the money. The other being the report released by the National party: that in spite of increasing health funding, elective surgeries has decreased over the last year, compared to five years ago. The defense of Health Minister Peter Hodgson (Labour, Dunedin North) is that the figures do not contain non admitted surgeries. My issue is that, surely someone in the ministry must have known that this would have been picked up by National, and surely it would have been important enough to get the data. Someone dropped the ball here. There is, however, a lack of acknowledgement in the mainstream media to highlight the three largest (non political) causes of increasing health care. The increase in the range of services and procedures as technology improves, and our need to provide for an ever widening range of products. The increasing cost of medical supplies (above the rate of inflation), especially the disproportionate increase for newer products. The increased provision for long term treatment and managed care, including palliative care, due to the increased longevity of patients whose conditions are debilitating but no longer fatal. Note to any government, current or in waiting: ignore these factors at your own peril.